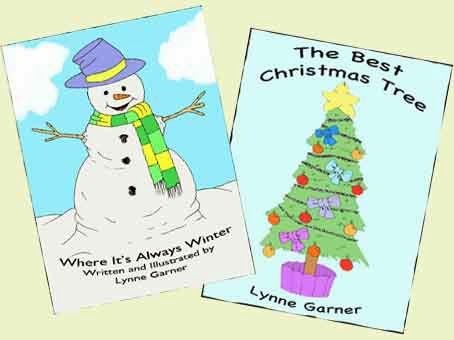 A few of years ago I wrote two picture book stories ‘Where It’s Always Winter’ and ‘The Perfect Christmas Tree.’ As the titles suggest they both have a festive or seasonal link. Once I’d completed them I sent to various publishers who I believed (because I’d researched their previously published titles) might be interested in them. Again and again they were rejected, which is something you sort of get used to as a professional writer. However a couple of the publishers didn’t send me the standard rejection letter. They told me they’d enjoyed the stories but were withdrawing from seasonal books so weren’t in a position to take. This is where my journey into becoming a publisher started. MadMoment Media Ltd was set up and with a very limited budget we had these two picture stories (plus a few others I’d received good feedback on) into apps for the iPhone and iPad. This meant a steep learning curve and a fair few hours spent in a recording studio, as yours truly narrated them. By the end of 2010 they were ready and uploaded onto the iTunes store. A few months later we converted all of the stories into picture eBooks and uploaded onto Amazon (Amazon UK, Amazon US). Our non-seasonal stories sell a few copies all year round. However although ‘Where It’s Always Winter’ and ‘The Perfect Christmas Tree’ are seasonal we sell as many if not more of them than our non-seasonal titles. Now you may be wondering why I’m sharing this with you. Well I wanted to demonstrate that just because a large publishing house doesn’t see the point of selling seasonal picture books it doesn’t mean there isn’t a market for them. So if you have a book that’s received good feedback but isn’t marketable all year round why not give it a go yourself. It’s worked for me it could work for you.